Ira A. Coveler – Coveler and Peeler, P.C. Mr. Coveler joined the firm in 1997, upon his graduation from law school. Originally, his practice focused on litigation matters, real estate development, construction law, corporate law and physician practices. Fortunately, that work experience provided a strong foundation for the work he does today. 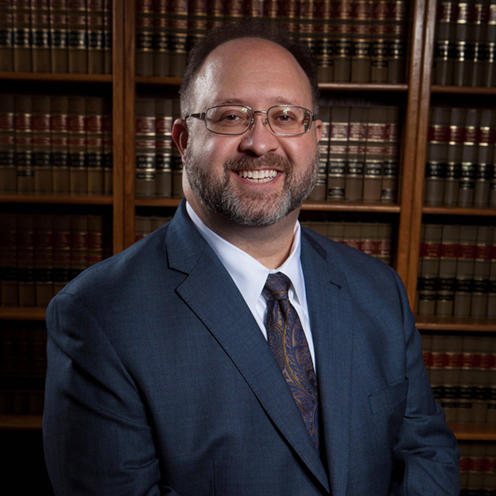 Mr. Coveler is dedicated to the firm’s Emergency Service District clients and he uses all of his private law skills to serve his governmental clients. Mr. Coveler assists his governmental clients in a variety of ways. He attends monthly Board meetings serving as a counselor and legal advisor to the Board. When special projects arise related to construction, employment, financing, fire truck acquisitions or District elections, Mr. Coveler is thoroughly involved and provides a perspective that is highly-valued by his commissioners. Mr. Coveler regularly attends meetings and provides information and guidance to Emergency Service District clients in Harris, Fort Bend and Montgomery Counties. Additionally, he responds to requests from all around the state and whether it is a once a year visit to catch up or a tough phone call to work out a new problem, he and the firm approach each client with the understanding that their concern is our concern. Mr. Coveler has assisted clients to create new Emergency Service Districts, modify the boundaries of an existing District and helped citizen to make certain their property was protected by annexation. Mr. Coveler has appeared for his clients in state court, at various administrative hearings with the State of Texas, before County Commissioners’ Court and other governing bodies in and around the state. Mr. Coveler was admitted to the State Bar of Texas in November, 1997. Additionally, he is admitted to practice in the Southern District of Texas. For his undergraduate education, Mr. Coveler received his Bachelor of Arts in 1994 from the University of Texas at Austin – Plan II Honors Program and received his Doctor of Jurisprudence from the University of Houston in 1997. Mr. Coveler was born outside of Texas, but arrived to Houston just in time to start kindergarten. He was disappointed not to have a horse to ride to school. He now lives in the Klein area with his wife Amanda and their two talented daughters and rambunctious son. Ira’s interests include marksmanship, enjoying fine wine, fishing and playing cards.